NADRA has introduced a new state of the art Smart National ID Card to provide hi-tech solution and protection of identity of the holder. 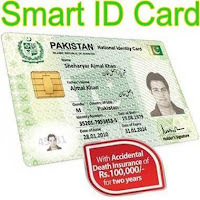 Smart National ID Card (SNIC) is much smarter and advance than old Computerized National Identity Card (CNIC).These are chip based identity cards; designed in such a way to fulfil all the needs of latest technology advancements and to store data. Smart cards will be directly connected to central database of NADRA. Holder of Smart NIC will have free facility of life insurance for two years. There are plans to associate many facilities with it e.g. biometrics, e-tag on motorway tolls, emergency relief in disasters, driving license, weapon license, passport, school card, health card, and electronic voting. It would also help to access the cash disbursement programs, branch less banking and financial transactions etc. There is also provision of storing data of approved associates e.g. banks etc. How to Get your CNIC Online? Mr. Tariq Malik Chairman NADRA wrote in his column in Daily Express on 13 November, 2012 that it is the most secure identity card in the world. It is printed in multiple layers and each layer has its own security features. When this card placed on a machine reader, it first verify its data and then ask for fingerprints of the person to match with the fingerprints stored on card so it is impossible to misuse this card. 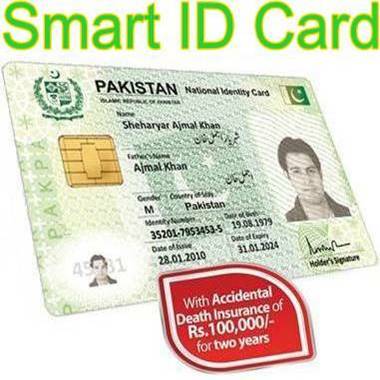 First smart identity card was issued to President Asif Ali Zardai last month. Data written on card both in English and Urdu which will be very useful for overseas Pakistanis and people who used to travel abroad. This card can not be altered, duplicated, forged or misused. It has name both in English and Urdu. It has Laser engraved photograph, Optical variable diagram, QR code and machine readable zone. Normal fee of SNIC is Rs.1500 while there is no fee for ordinary fresh CNIC. Normal renewal fee of CNIC is Rs.75. Initially smart cards will be issued for a period of 10 years. To get your smart card, visit your nearest NADRA Registration Center. Dear Sir, How can we apply Banking system, Driving License, Passport and Insurance Policies etc through the Smart card. Please brief us about the features of smart card that how it enables. how we get driving license through smart card....?????? how to locate family number through this cnic???? Plastic card is just not severely sacrificed no matter what. The businesses will often have a product list to create your card assortment less complicated with the consumers. 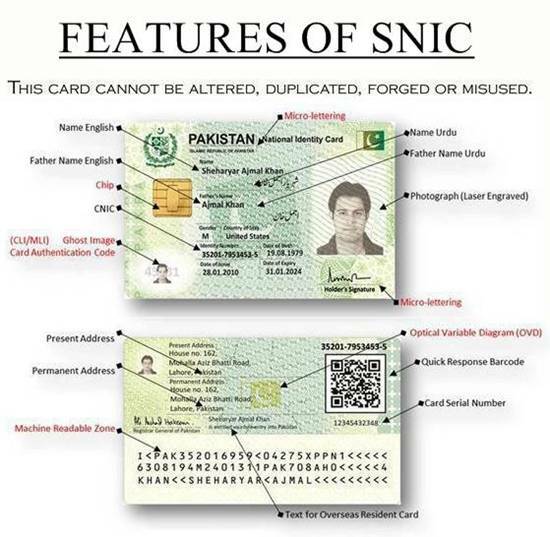 How much time they require to convert CNIC to SNIC? How can I apply for CNIC online? I dont prefer Smart card for over sea. For over sea purpose you have to go for International Oversea Id Card which has both sides in English and it must have your broad resident address and your local preferment address in Pakistan. You can apply it from your embassy of Pakistan the country where you stay currently. Someone would inform me the NIC (Urdu wala) fees and SNIC (Chip wala) ? Sir main smart card se Dubai ja sakta hon visa/vist per plz ans me.